Etoile du Sahel beat Al-Hilal Omdurman 3-1 at Stade Olympique de Sousse on Sunday evening. Victory gives the two-time champions some breathing space heading into the Caf Confederations Cup quarter-final second-leg against the same opponents in Omdurman next weekend. Zied Boughattas fired the hosts in front on the half-hour mark before Yassine Chikhaoui netted his first of two goals from the penalty spot four minutes later. The Blue Wave scored a vital away goal in the 59th minute through Athar El Tahir to make for a nervy finish. Chikhaoui, though, restored the hosts two-goal lead in the 81st minute, completing his brace from the spot to lead the Tunisian's to victory. Etoile du Sahel: Bediri; Jemal (Konate 27'), Boughattas, Ben Aziza, Chikhaoui (Mathnani 85'), Aouadhi, Msakni, Ben Amor (Ben Larbi 58'), Raddaoui, Hannachi, Haj Hassen. 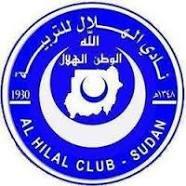 Al-Hilal: Salim; A. Abdalla, Ibrahim, Boya, Diarra, El Tahir, Behaldeen (Ariwachukwu 45+2'), Eldin Ali, N. Abdalla, Mbombo, Bakhet Hamid (Eldai 75').